First off, please know that I am writing this as a fan of rpg and the conceit behind the litRPG genre. I've been playing rpg for more than 30yrs, a boring traditionalist sticking mainly to DnD/TSR/WotC, and still meeting with my grade school DM every now and then to check in on a character of mine that basically became a lawful evil god of the undead by the time we were done with him and he now uses for campaigns he runs till now. Unlike many of the low score reviewers, I'm fine with stats etc since if we were sitting around a dining room table playing a game, eating, drinking and fighting battle after battle, we would in fact stop to hear all of this from the DM or at least look them up ourselves in various guide books we have. My problems with the book begin with the fact that so much of the of 40+ hours was only stats or the same things repeated again and again and again: another heartfelt speech of loyalty between characters, another description of a character's secret smile, another professing of love for the village and the people, redundancy of pet phrases the author seems to enjoy using, another exclamation of wonder at all the cool items/loot and new abilities. It's become too mad-lib - just fill in an item or ability name here then repeat. This is stuff for the first book in a series and some quick refresher info in the first chapters of each later work to introduce or remember character traits, basic motivations and relationships etc, not for the seventh. If done well at the beginning of a series, the reader will bring all this knowledge to each reading themselves, and then follow subsequent character growth without needing the author to repeat what we already know. The stats, and again I'm fine with stats, end up taking over the narrative and bogging it down. The poor handling of stats is all on the author as other authors that I enjoy in this genre handle them more efficiently. Of course I recognize that I'm only doing the audio books. If I were reading the print versions this might be different since I could easily skip over the stat pages and come back and peruse them at my leisure. Because of all this description that takes away from the story, it feels as if the author is more interested in writing a full DM guide, player's handbook, monster manual etc in between the stories to create The Land RPG, not just write The Land LitRPG. It's like reading some YA fiction which is trying too hard to sell the screenplay rather than tell a story. The story itself is too much vignette and not enough progression to the main conflict. The main character also doesn't seem to be growing much except to be more ruthless. I understand side quests, but that's all this book seemed to be at times. They know they should be preparing for an epic battle against what should be an unstoppable foe, but there is never a sense of urgency or worry. I am actually fine with the somewhat glacial pacing - if you play RPG, you know that campaigns can go on for years, but you don't feel it since it's not just the game play but the fun of getting together and jumping into a fantasy world together, laughing, eating, drinking, and being silly as you brandish ridiculously strong weapon to attack over-the-top foes. When all of that is gone and it's the reader interacting passively with the story, that pacing doesn't translate well to the page unless there is actually something interesting happening on the page. The bathroom humor, treating female characters as objects described or acted upon in purely sexual terms, the over-the-top violence, wise-cracking just to (as they say over and over again) f**k with characters... all of this takes me back to being a 13-yeal old boy and playing DnD with other 13-year-olds. This book is exactly how we played the games back then, but unfortunately it doesn't do much for me now and is often more offensive than funny. I would say that the main character doesn't sound like someone with a medical background who would bring a level of sobriety and intelligence to the main conflicts (levity and silliness are fine - just ask Adams, Holt, Moore, Pratt, Martinez...), but then I remember that the author does have a medical degree himself, so I have to assume it's just his sense of humor. I have done the right thing as a parent and introduced my daughter to RPG, and there are LitRPG books I would recommend to her; but not this one. It brings out all the stereotypes that make people think of RPG folks as juvenile, perpetually trapped in their middle school mindset, creepy nerds. And this is the sad thing about the book. Under all the filler, redundancy, lack of editing, and trying to create a Last-Boy Scout-Bad-Boys-Die-Hard-Lethal-Weapon vibe, there is actually a good, creative, potentially moving, "cool" story with an engaging mythology hiding down there. 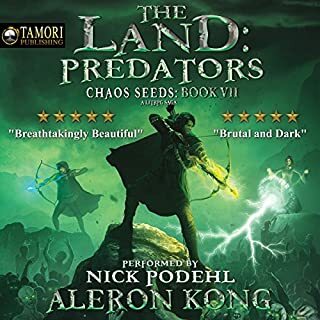 It is that and the great Nick Podehl that keeps me coming back and hoping for the best (and yes, thank goodness Nick Podehl is such a brilliant narrator - he kept me going to the end). However, if book 8 isn't actually a book, but just another rambling 40 hrs of side quests and winning by last minute luck rather than actual ability and strategy, then it will be the last book I read in this series (and I know the main character's luck stat is high and he keeps getting luck buffs, but come on, it shouldn't all come down to luck). Always a fan of Stephen Briggs, and though short, there is much in this interview about himself and his work with Terry Pratchett. 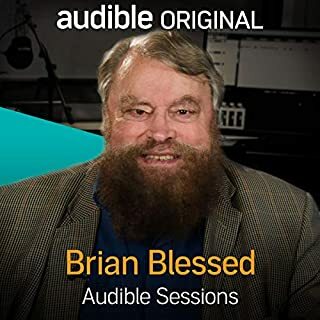 Legendary British actor Brian Blessed joins Audible Studios to talk about the release of his new audiobook, The Panther in My Kitchen. 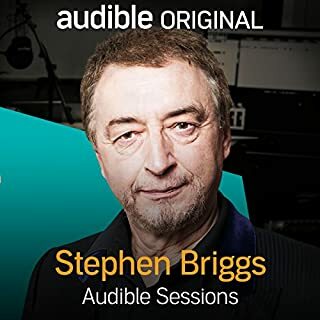 In this witty and heartwarming tale of his many encounters with animals, listeners can expect to be whisked away by one of the greatest voices of our time. Following the success of his best-selling autobiography, Absolute Pandemonium: My Louder than Life Story, Brian Blessed introduces his new work and talks life, pets, animal rights and future endeavours. You have to hear the gorilla story! "Flash Gordon" was the first film I was allowed to see on my own in a theater back when it first came out, and ever since then Brian Blessed has been a larger-than-life, almost mythological figure to me. Any interview, play, film that I have seen him in since never diminished the first impressions, and this interview does not disappoint. Again, just for the gorilla story I would pay for this if it weren't free. 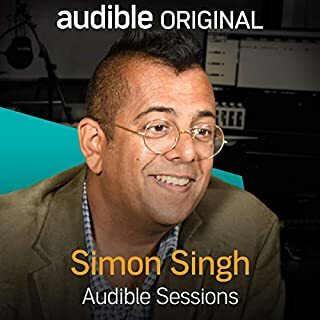 Author, journalist and TV producer Dr Simon Singh joins Robin Morgan to discuss his book, Fermat's Last Theorem, which is now available for the first time on Audible. In Fermat's Last Theorem: The Story of a Riddle That Confounded the World's Greatest Minds for 358 Years, Singh tells the story of Andrew Wiles, who, in 1993, claimed that he had solved a mathematical puzzle that had been confounding intellectuals for centuries. Fascinating discussion which also shows how love of math can be just as moving an experience as any personal passion. Multiaward-winning actor Toby Jones talks to Audible about his experience of recording the part of Holy Man Joe in The Man on the Mountaintop. Best-known for his performances in The Hunger Games, Captain America, Harry Potter, Sherlock, Atomic Blonde and Tinker Taylor Soldier Spy, Toby's varied career makes him one of Britain's most loved thespians. 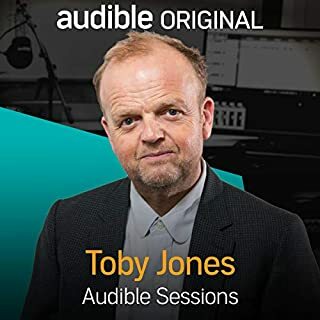 I was looking forward to this interview as I have enjoyed narrations done by Toby Jones. However, this interview sounded as if he'd either just finished a nap or was getting ready for one. The pretty much monotone, sleepy feel distracted from what might have been interesting content. 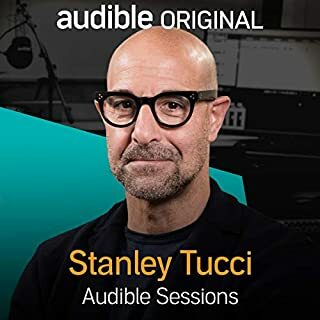 World famous actor, director, producer and writer Stanley Tucci introduces his latest project, The Man on the Mountaintop. A modern take on fictionalised mindfulness and collection of contemporary fables, the audiobook tells the story of Old Man Joe, whose sage advice is widely sought after. Full of humour, wit and life lessons, this multicast drama is not one to miss. I usually give these interviews five stars since they are insightful and entertaining, but this one was devoid of depth on any level; just a rambling, basic, everyday interview will a celeb. At times you could almost hear Robin Morgan trying to stay interested. Disappointing as I can't think of a role that I haven't liked when Tucci is the actor. This course in the end was to much of a simple survey of the period. 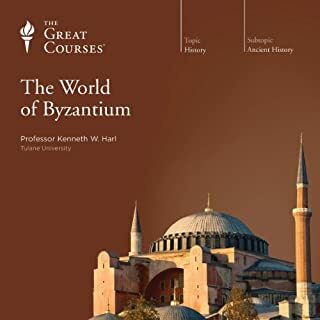 Prof Harl attempted to cover too much in a short period of time, as such there was a lack of depth and the listener is left without a confident feeling of having understood the rise and fall of Byzantium. That being said, if one follows the syllabus and suggested readings, just like taking the course in college, all of the missing pieces are put in place. I did this, but being a busy adult it was difficult to maintain momentum. The casual listener will be challenged to get much from this. Recommended for those who have the time and dedication to use the supplemental materials. 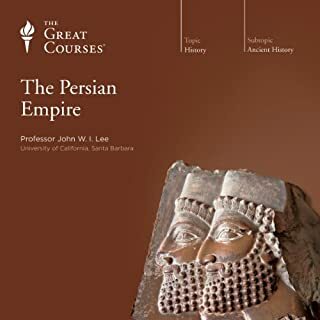 This course would have been better served if it were divvied up into two or three courses concentrating on each period of Byzantium so that it might feel a part of the larger Roman Empire narrative and segue better into the Western Middle Ages after the fall of Byzantium. Something similar to Daileader’s three-part history of the Middle Ages or, as a short-course example, Bartlett’s “The Italians before Italy” would have been a better structure in my opinion. Prof Lee does a remarkable job of making an important period of history come alive even though so much of the period is obscured due to a lack of primary sources. His presentation is well ordered and covers a large number of topics, without the listener becoming lost. The syllabus and reading list of course are helpful, but Prof Lee’s thoroughness and clear presentation means the listener can learn much just as a casual listener. I find this important as some of The Great Courses professors organize their lectures in such a way as to make the syllabus and readings essential to the understanding of the course, meaning that the lectures lack depth and clarity. Prof Lee’s lectures do not suffer this problem. Highly recommended if you are interested in this period of history. 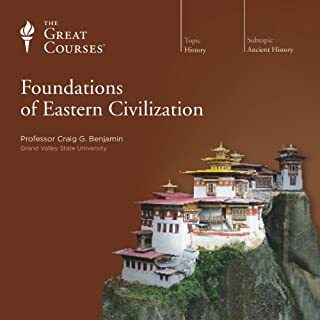 If you could sum up Foundations of Eastern Civilization in three words, what would they be? What was one of the most memorable moments of Foundations of Eastern Civilization? I wouldn't say memorable, but Prof. Benjamin's enthusiasm for the subject was definitely felt throughout. What aspect of Professor Craig G. Benjamin’s performance would you have changed? At the risk of being pedantic, I REALLY wish Prof. Benjamin's pronunciation of Asian language names and terms was more consistent and accurate. I'm not asking for native pronunciation to be there, but at least show a passing knowledge of East and Southeast Asian language pronunciation norms. Knowing a few East Asian languages, I was often confused and had to wait for context clues or refer to the reference materials to see exactly who or what he was referring to. For those who don't know these languages, I imagine any pronunciation is fine since they will most likely be using the course reference materials. Thus, this shouldn't discourage the everyday student, but if you know these languages or are currently studying one of them, prepare for your ears to be pained. I bought this to see how it faired alongside the courses and texts I used way back in the stone age when I was studying East Asian Studies and Chinese Language and Lit in university. As a general introduction, it does fairly well, and Prof. Benjamin is never boring. My gripes are just nitpicky ones on language, which distracted from my personal overall enjoyment. I am lenient with poor pronunciation coming from non-scholars of the East, but when it's your bread and butter I would expect more. The course, unfortunately, just teaches people to say the names and terms inaccurately. Again, I'm just being pedantic, enjoy and feel free to ignore me. Read not Narrated - who would have thought? Would you try another book from Steve Martin and/or Steve Martin? 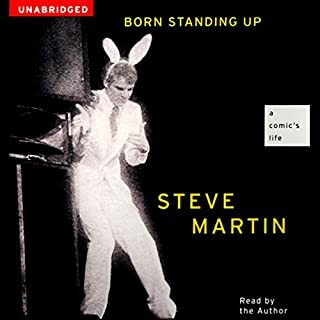 I've read much written by Steve Martin, but this was the first time I bought an audio book of his, so I was excited that he was also narrating. However, it didn't take long for disappointment to set in. After having listened to George Carlin, Woody Allen, Neil Gaiman and others narrate their own works, I had high hopes for Martin to narrate his own story. His tone was flat and matter-of-fact; didn't stir up empathy for him. I would have gotten more out of it having read it than listening to it. So whereas I would buy another book by Martin, I wouldn't buy an audio book with his narration. His narration made what would have been an interesting memoir rather boring. I would have hired a professional narrator. The story is his own - can't improve on that. I was looking to engage with an actor whom I've enjoyed since growing up in the 70s, but couldn't get past the feeling that he wasn't too interested in his own text. I wasn't expecting a "wild and crazy guy" with a voice out of The Jerk, but at least the voice that made such movies as Roxanne and LA Story entertaining and moving.